The Octane’s cast aluminium/tubular steel mix cradle is also to the same recipe as the Scout’s, right down to the twin 41mm telescopic forks, twin discs and twin shock rear but the wheels are new, growing from the twin 16-inchers of the Scout to a 18/17-inch front/rear combination. 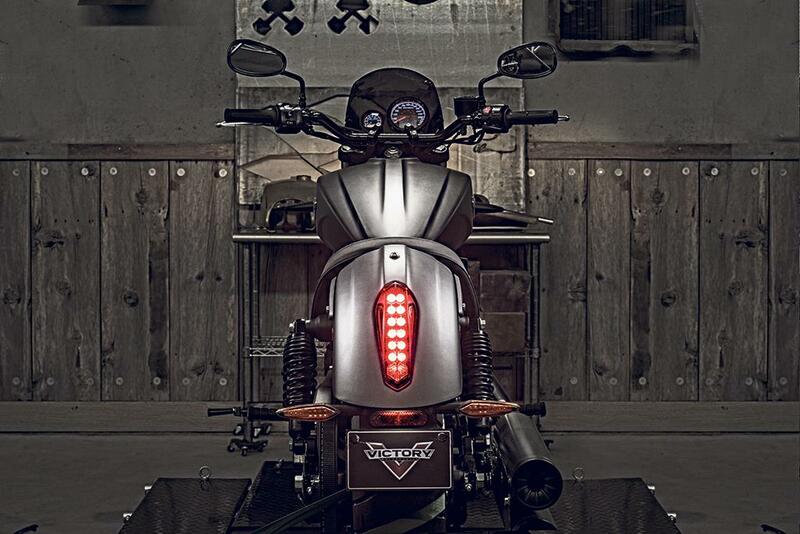 Perhaps unsurprisingly, then, the Octane is very much like the Scout to ride – but with a touch more attitude. Handling is decent for a cruiser and never really becomes a handful; brakes are adequate and its real playground should be blasting around town, mucking about between traffic lights and generally playing the (slightly entry-level) hot rod dude. No long-distance cruiser, though, it’s too uncomfortable and Victory has better bikes for that. The engine architecture is basically the same as its sister bike, the Indian Scout, but with a bore up from 99 to 101mm to take capacity from 1133cc to 1179.3cc, enough to raise peak power to 104bhp. It’s been said before but that 60º, liquid-cooled V-twin is a peach: usefully picking up from as little as 2500rpm before building in a linear fashion and firing off from five thou and up. As a result, travelling is effortless and pleasing (a 70mph cruising speed comes up at just 4000rpm in sixth). 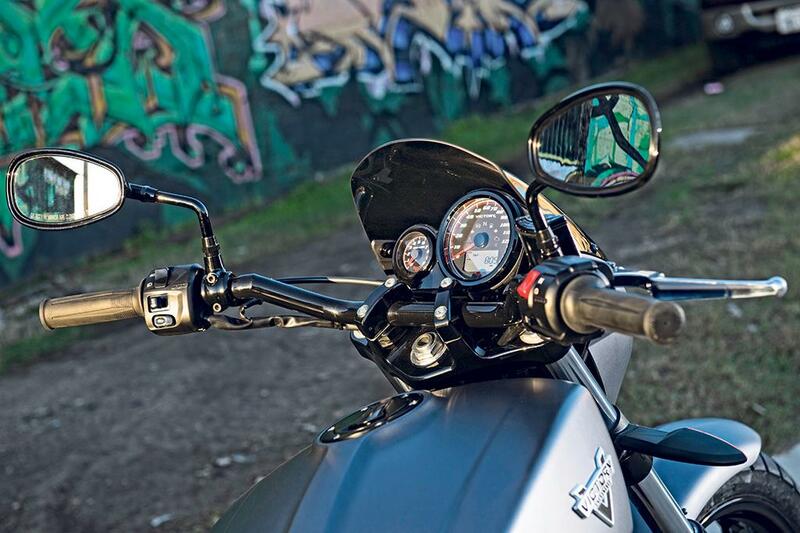 That said the Octane is a million miles away from truly fierce, ground shaking hot-rods such as the VMax or Diavel. 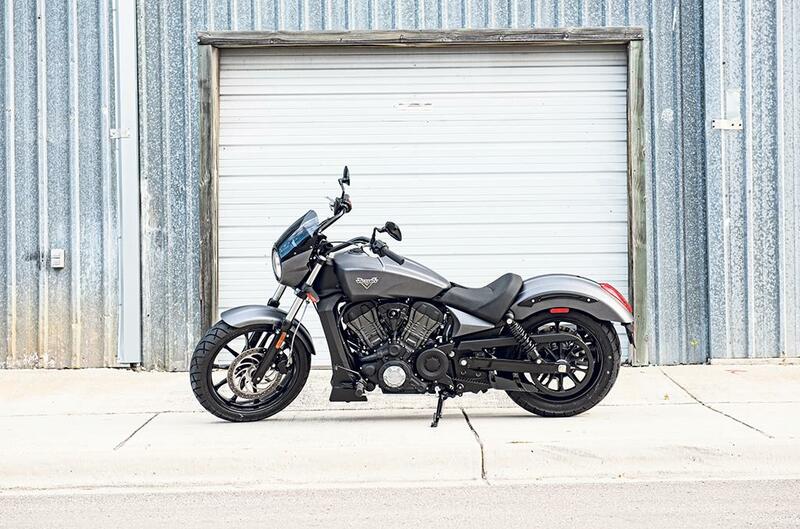 To Victory’s credit, it has done a pretty thorough job of the transformation and the result is sufficiently different from the Scout – there’s far more to it than just different badges, for example. 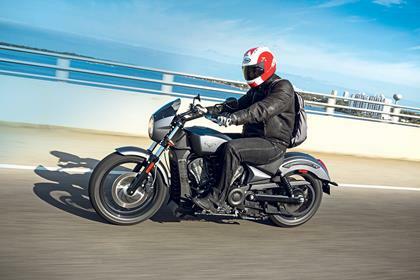 Quality’s not bad, either and, while it’s probably still too early to proclaim with any certainty, any qualms about reliability should be compensated for by Victory’s standard five-year warranty – the best in the business. Overall the Octane’s a decent bike, a welcome addition to Victory’s range and an interesting alternative to a Scout. Don’t forget, when the Octane went on sale in the UK, it was not just more powerful than the Indian upon which it’s based, not to mention being arguably more substantial due mostly to its larger wheels, it was cheaper, too. 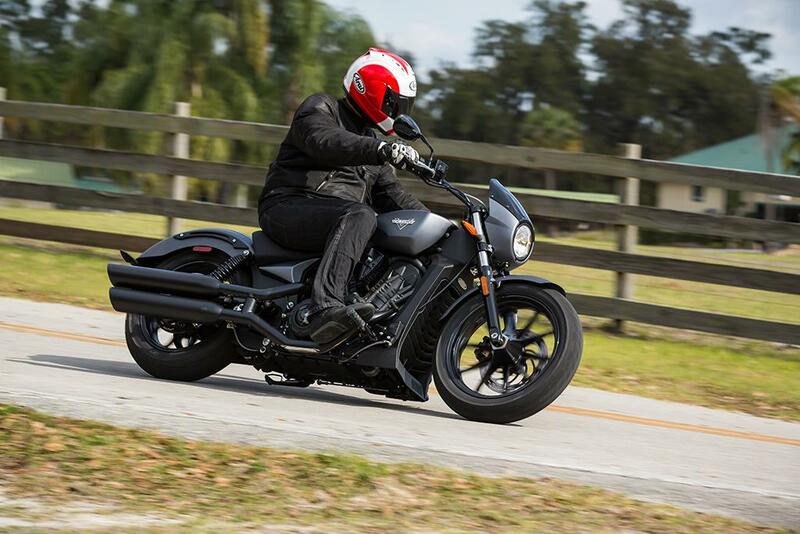 It’s just not (quite) the all-new American hot rod Victory would have us believe. Victory has gone to extensive lengths to give the new bike its own look. These include: restyled barrels/head; new nose cowling; new side panels; new larger, but less flared fenders front and rear to match the bigger wheels; repositioned rear shocks; all chrome replaced by black and Victory badging throughout. That said, equipment is no different and still fairly sparse. There’s a single, multi-function ‘clock’, ABS and… that’s about it. No fancy electronics or creature comforts and, so far, not much by way of optional accessories, either. Front suspension 41mm telescopic forks, no adjust. Rear suspension Twin rear shocks adjustable for preload only. 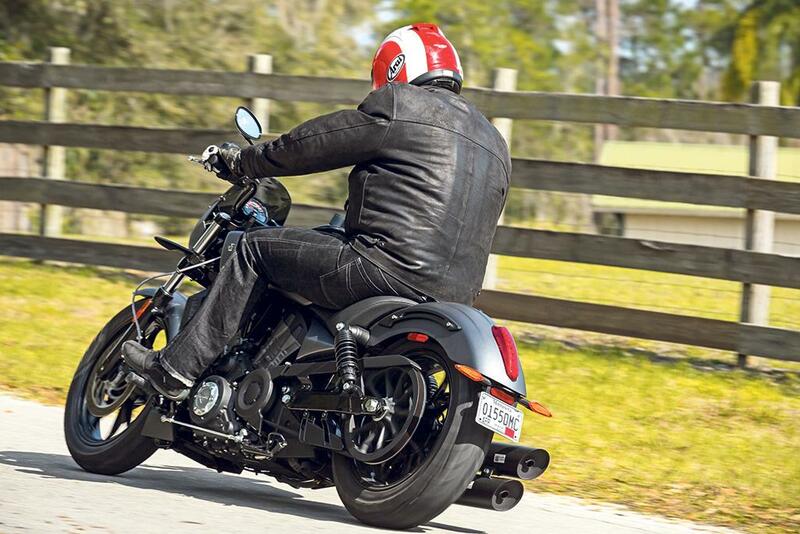 1 owner has reviewed their VICTORY OCTANE (2016-on) and rated it in a number of areas. Read what they have to say and what they like and dislike about the bike below. Have made several long trips more than 700 miles in a day. Seat was adequate, handling a joy, acceleration addicting. A bad starter was replaced under warranty. I paid $8000 with my trade and I don't believe I got a great deal but I believe I got a great bike. I picked it up April 14, 2016 and today December 2018 I have 17000 miles. I'm 72 and feel like 18 again.